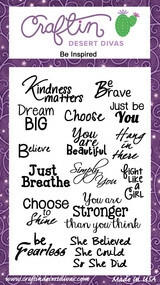 Hello Divas...DT member EK from ekgormandesigns, back today to share another design featuring several different stamp sets from Craftin Desert Divas. Today, I want to show you how you can stretch your stamps simply by looking at them in a different way. You would assume that a stamp set named Snow Day would really only be usable in the winter months. However, if you look closely at the stamps, two of those cute lemurs are not wearing winter wear. And that cabin, could easily be a hunting cabin in the throws of spring, instead of a warm cottage in the winter. Like I said, it is just looking at things in a new way. Well, that and some creative scene building. To help build the spring scene, I pulled out a couple other scene builder stamp sets. First, I built masks for the two lemurs, using some post it tape, so I could reuse them at a later date as well. 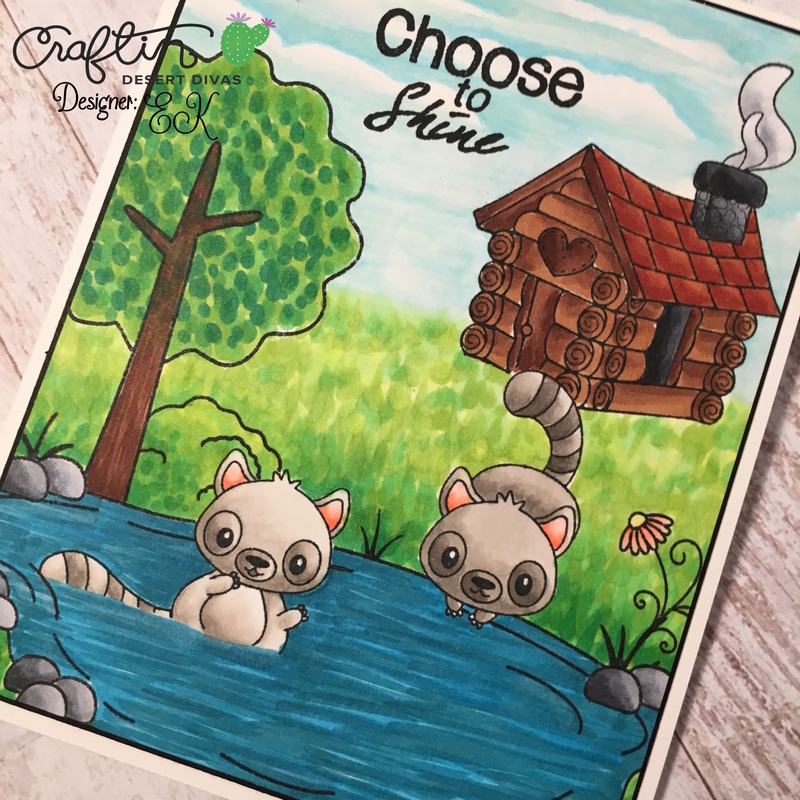 I stamped out the lemurs, knowing that the little guy who is sitting up would be in some water so I masked the bottom of him with a post it note so his body was unfinished. I then added the masks to the lemurs. 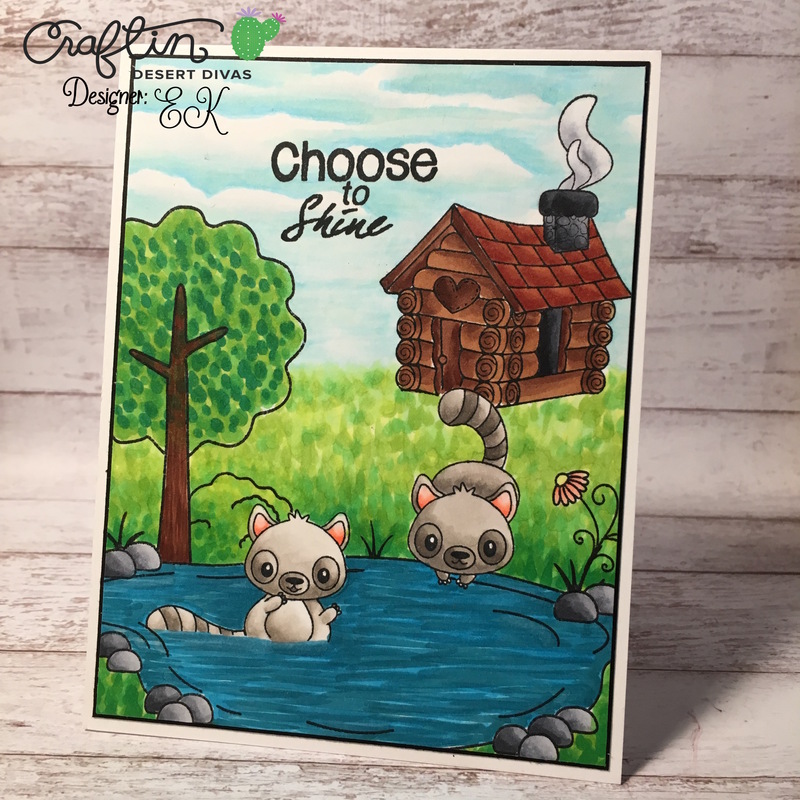 I pulled out the CDD stamp set Build a Scene 2 and snagged the pond stamp. I'll be honest here and admit I had already build a mask for the pond and have used it multiple times. I stamped out the pond, and add its mask. I grabbed a tree stamp from CDD's Build a Scene (the original) and the cabin from Snow Day. I stamped them out, knowing I wouldn't need a mask here. Finally, I added a bush and some blades of grass from Build a Scene and a flower from Build a Scene 2. Finally, I used a sentiment that I thought might work nicely with this spring infused card from the Be Inspired sentiment stamp set. Now it was time for my favorite part of any creation, the coloring. I pulled out my copics and went to town. I knew from the moment I pulled out the Snow Day stamp set that this would be a heavy colored card where I would play with several techniques in the scenery. I hope you have enjoyed this creation of this card and are now challenged to look at your old stamps in new ways. What an adorable scene! Great masking. WOW! what a card, great job! !